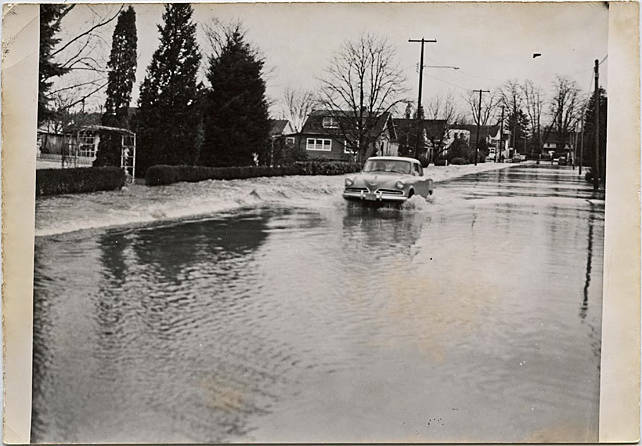 Black and white photograph of a car driving down a flooded residential street with snow along the sides. [back] Flooding Tualatin R., on Boones Ferry Road. 1956.